It still looks like .blogspot.com but maybe because that's how I followed it. Oooh, the blocks look fabulous! Is there a difference between the two sets of + and X blocks? They look beautiful together. Love Going Coastal and FQS. Csn't wait to see what you make. Wow! Those x and + blocks look soooo beautiful together. That really is a block that looks best when it's super scrappy. Great selection of "X" blocks made from a variety of fabrics. I love them all. Yay!! the dot com looks the same to me, I subscribe via bloglovin' but had no problem redirecting! I'm glad you were able to figure it out and get it going! Sorry that you are a little jetlagged but I loved our time together. 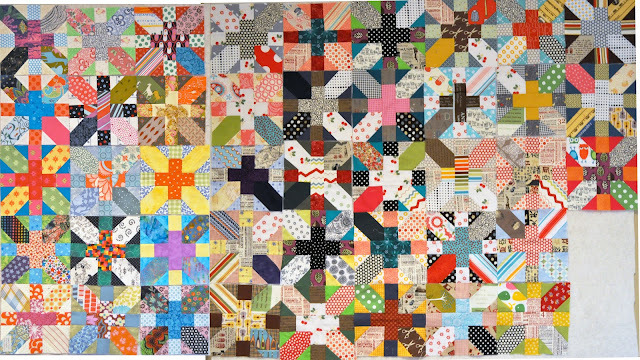 Your x and y blocks are amazing and you are going to have one bea -ooooooo-tiful quilt. One day. When you finish the other blocks! I must try one. Isn`t that sweet of Katy??? Hee hee, I got one of your x and +s and you got one of mine! I loved making your + and x blocks, they look super together. I absolutely love the x and + blocks. Must do those. Those blocks are going to make a great quilt, also your granny squares will do the same. You are inspiring me to make one or the other or both of them. Catching up on my blog reading in reverse order here. 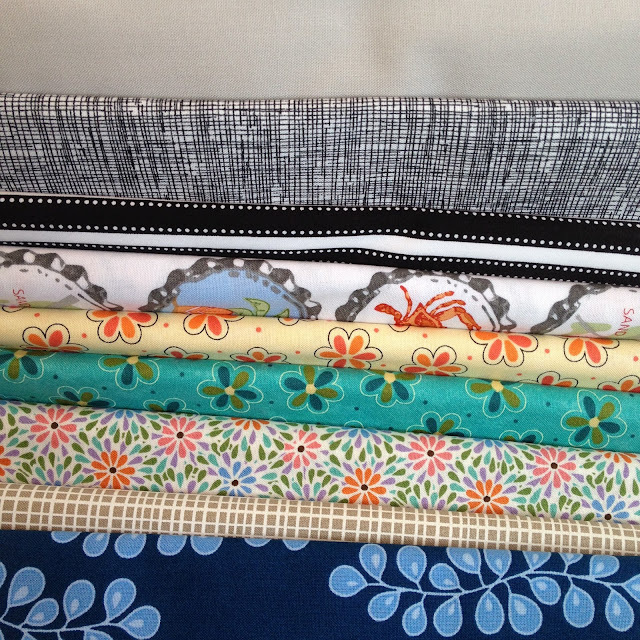 Loving your blocks, and new fabric. But best of all was your hilarious comment about the cruise! Having your own domain is great! If blogger/blogspot someday decided they didn't like your blog, they could shut it down w/o warning to you (I know several people that happened to over the years).